If there's one family that knows how to throw a great wedding, it's the British Royal Family. Their weddings are always spectacular. Remember the one with Prince Charles and Lady Diana in 1981? How about Prince Charles and Camilla's wedding in 2005, or Prince William and Catherine Middleton in 2011? Well once again, the British monarchy has gifted the world with a royal wedding, and this time it was Prince Harry and Meghan Markle who tied the knot on May 19, 2018, in St. George's Chapel at Windsor Castle. But the ceremony has given online users a lot to laugh about with these hilarious memes that will have you in stitches. Some girls always dream of the day when their prince will come to take them away to lead a happy life. 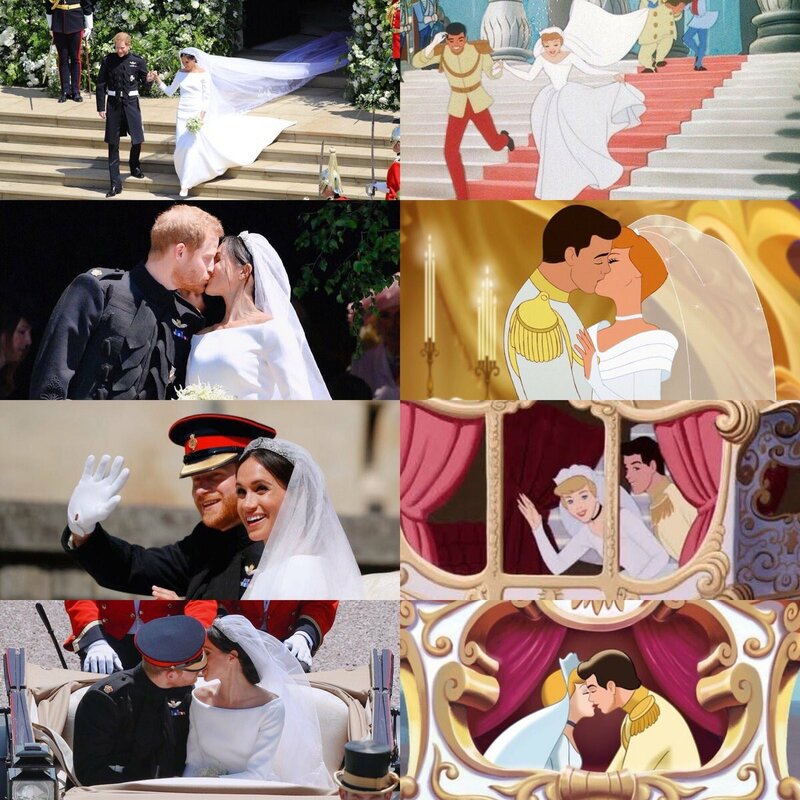 For Meghan Markle that dream actually came true because she did in fact marry Prince Harry, and these side-by-side snaps show that her fairy tale parallels the happy ending of one of the coolest Disney princesses ever... Cinderella! Obviously, there's no way that you can make a Cinderella reference without mentioning the stepsisters. Maybe it's just some weird coincidence, but those two on the right were dressed a lot like the wicked stepsisters on Disney's animated "Cinderella." Actually, they're Princess Eugenie and Princess Beatrice and they're not wicked. English socialite Pippa Middleton should know better than to wear a dress that resembles a can of tea. The internet seems to think that the younger sister of Catherine, Duchess of Cambridge, was wearing something that looked a whole lot like a can of Arizona Ice Tea. But she still looked pretty amazing in it. They say that it takes men a little longer to grow up, but it looks like Prince Harry is a kid at heart. On the photo on the left, he's making a goofy face and sticking his tongue out, much to the shock of his mother, the late Princess Diana. But years later, a grown-up Prince Harry is still up to his old tricks at his wedding. Meaghan Markle has really modernized the royal family. Not only is she a former actress who was born and raised in America, but she's biracial too. Her dad, Thomas Markle, is Caucasian and her mom, Doria Ragland, is African-American, and the internet got some serious Princess Tiana vibe at this wedding.